Links to resources, other sites of interest. Obtaining Individuals' Military Records: These are located at the National Archives. Information and Order Forms. 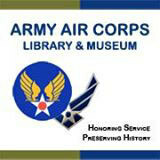 Air Force Historical Research Agency Where you will find group and command records NOT individual service records. Military History of Army, Navy, Air Force, Marines, the Sons of Liberty Museum houses artifacts from WW1, WW2, Korea, Vietnam and the Gulf War. InterNet Partners, Our technology partner with database, cloud, etc.